Legally speaking, a doctor cannot discharge a patient from the hospital before sending a legal notice to the relatives or colleagues of the patient in question. 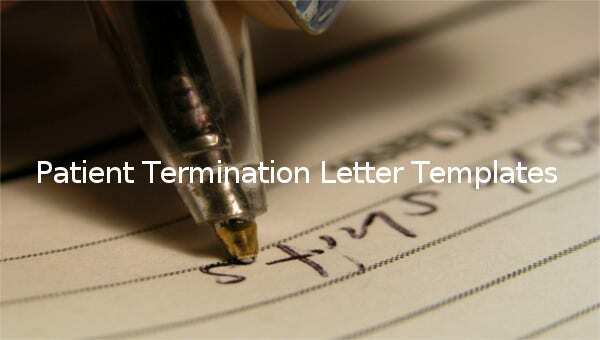 Doctors can use patient termination letters to discharge patients from the hospital. But doctors aren’t the only people who can use free termination letters. 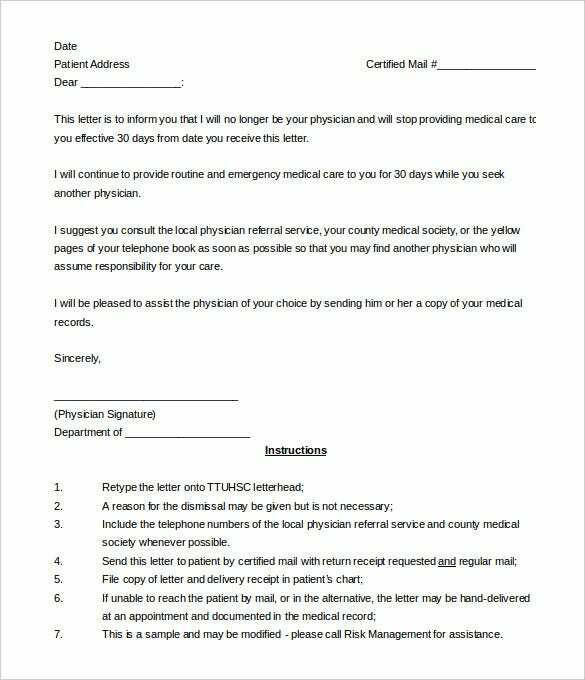 Parents and colleagues to sick patients can write a termination letter to a healthcare requesting that their patient be discharged immediately. 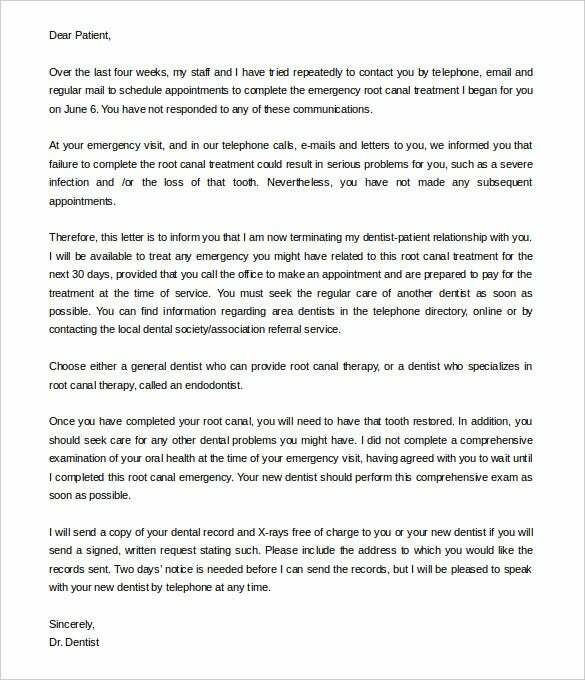 When parents or colleagues send this termination letter to a healthcare department, it often means they aren’t satisfied with the service the healthcare provides. The healthcare institution most likely has no choice, or power, to appeal this deal, and will have to release the patient immediately as requested. 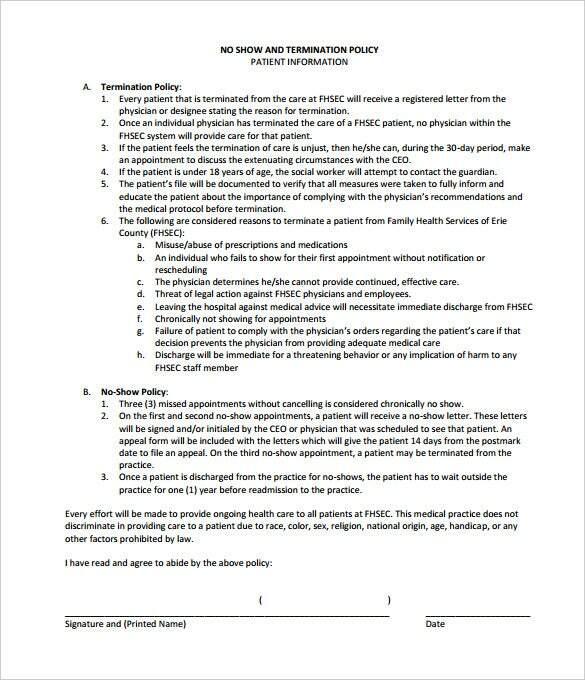 nnoha.org | If you are facing a non-compliance issue with the patient that is making it hard for you to treat him or her, then use the download patient termination letter due to non-compliance. 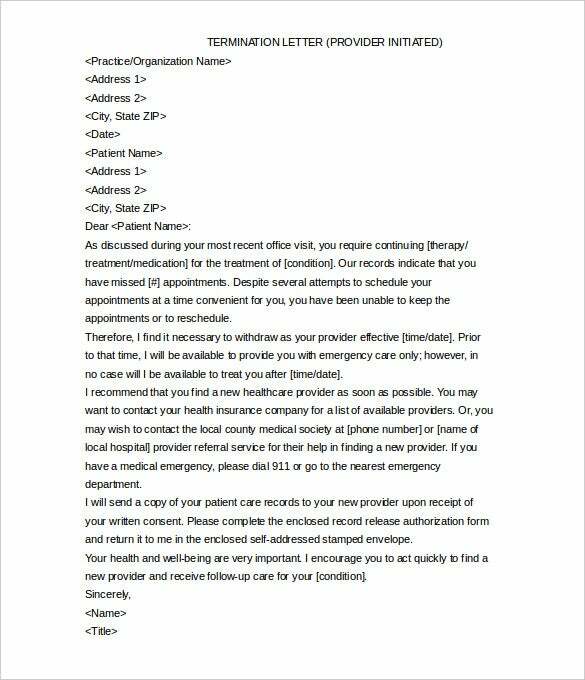 protectorplan.com | The patient termination letter for non payment word doc is a simple and well written patient termination letter template that you can use to terminate the patient for non payment of dues. 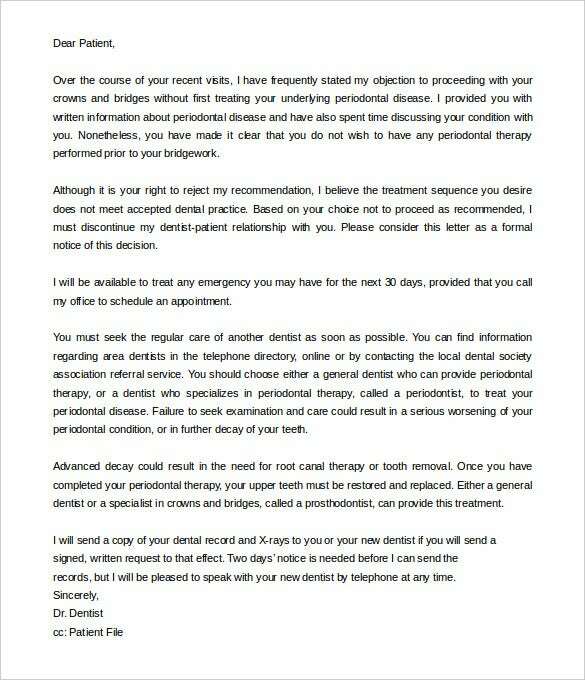 protectorplan.com | If your patient is not able to comply with you and not accepting your dental practise, then you should use the patient termination letter dental office template download. To terminate the doctor, patient relationship. greatsampleresume.com | If the patient have missed numerous appointments and have failed to clear all the dues, then terminate the relationship by using the compose a patient termination letter template word format. 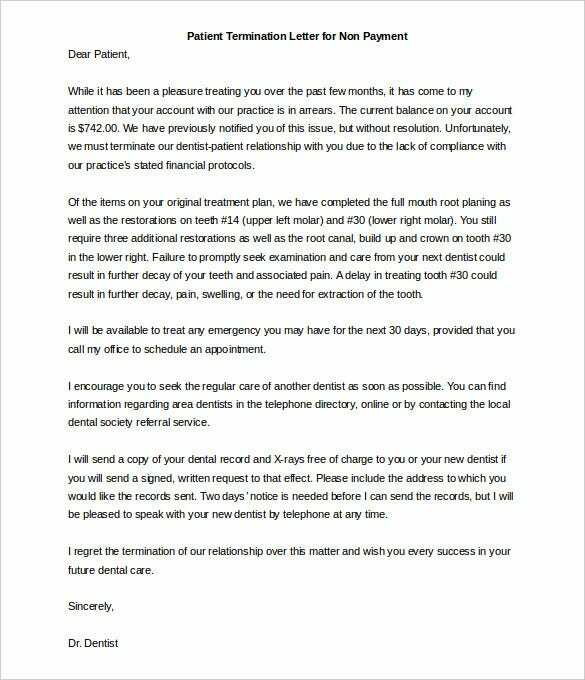 ttuhsc.edu | The editable patient termination of care letter template word doc is a simple and well written patient termination letter template that you can use to terminate the patient doctor relationship. 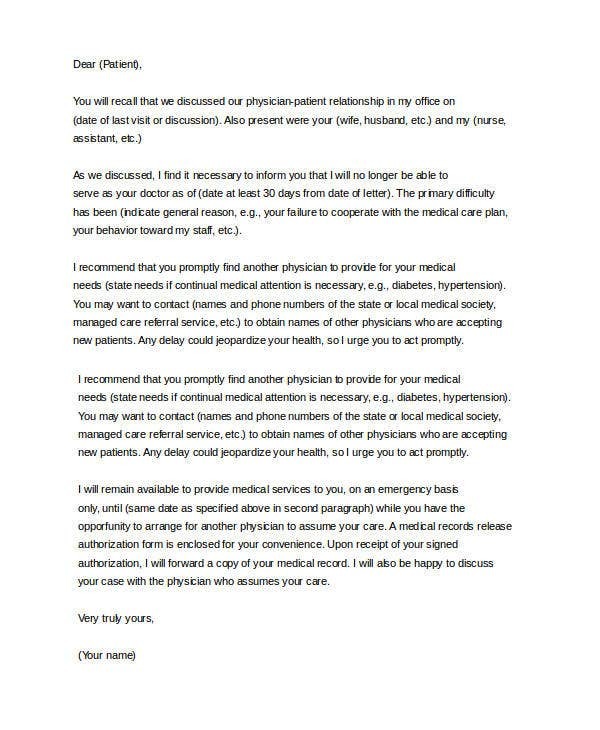 medpro.com | The download termination patient dismissal letter due to misconduct is a well drafted patient termination letter which you can use to terminate the relationship due to misconduct of the patient. 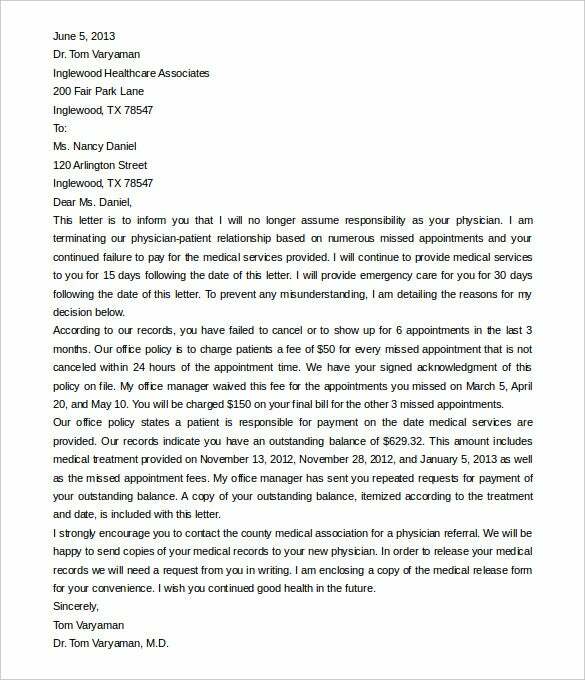 The patient termination letter no show template download is a well drafted and comprehensively written patient termination letter template that provides all the policies that when met leads to termination.